The Thanksgiving holiday is almost here. 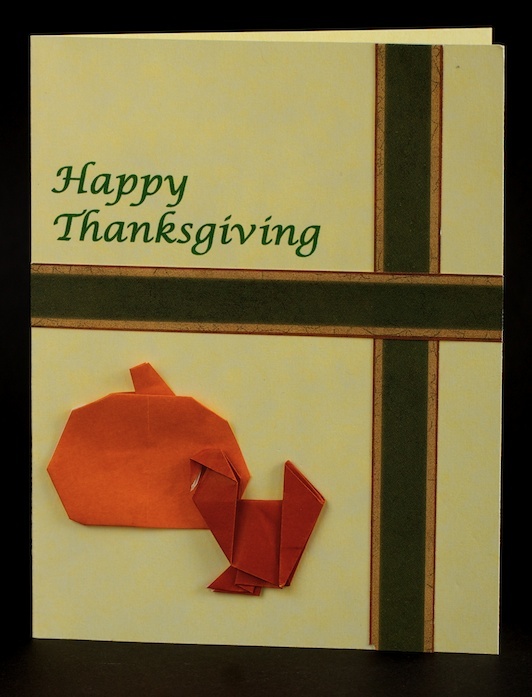 So, if you haven't prepared your Thanksgiving cards yet, here are some ideas. 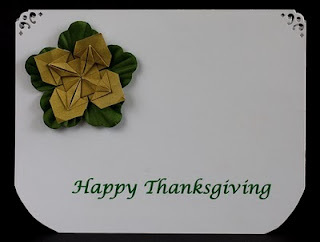 I like making cards because you can mix origami with other paper crafts. 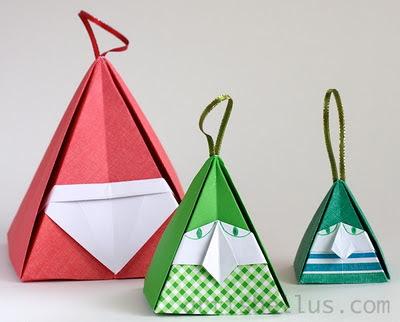 The key is to find an origami model that is flat and simple enough to be folded using small papers. 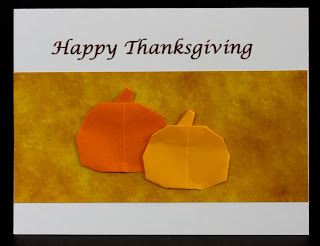 All cards were made with letter size cardstock sheets, cut in half, where I previously printed "Happy Thanksgiving". 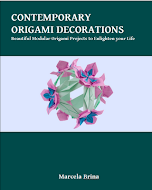 Besides the origami models I also used some scrapbook paper and embellishments. Pumpkin, designed by John Montroll, from the book Storytime Origami . 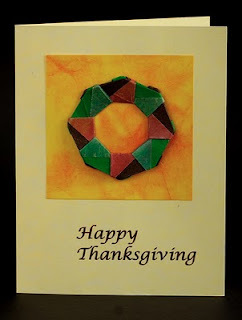 As the back of the model was not visible in the card, I started from a triangle instead of a square. Folded from 2 3/4" and 2" squares. Tom turkey, designed by mvs, from the Origami Page-A-Day Calendar 2010 . Folded from a 2 3/4" square. Ring 7 - C: Variation 2, designed by Tomoko Fuse, from the book Origami Rings & Wreaths . Folded from eight 1 1/2" squares. Wildflower, designed by me, diagrams here. Folded from a 2 3/4" square. Enjoy making the cards and have a Happy Thanksgiving.